The HG CARE APP is available!!! After three years of hard work by HER Foundation and UCLA Health, we celebrate the official public release of the first HG Care iOS app! 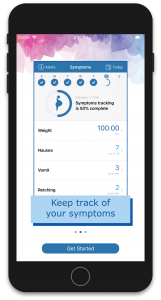 Now women can track their symptoms and treatments to find out what’s working. Plus they can easily share insights into their progress with family and health professionals. The app is free. Remember if it makes you ill to use your phone, just have family input your data. We’re starting the next chapter at HER as we kick off our 15th Anniversary!! From scientists to business experts, health professionals and digital health specialists, HER has assembled a team vast expertise! We launched our formal Board of Directors with an awesome meeting that discussed many ways to support families during/after HG, improve treatment by educating health professionals and launching the next version of the app, changing treatment protocols and public policy, and reaching more of the international community. Watch for many new opportunities to be part the next decade of HG progress! Thunderclap – shout the message simultaneously! What is the HG breakthrough we co-published in Nature Communications? This study provides scientific evidence linking 2 genes, GDF15 and IGFBP7, to HG. These genes provide the instructions to build the proteins GDF15 and IGFBP7 in the human placenta during pregnancy. The proteins are known to be important in the development of the placenta and in controlling appetite. We have done additional work presented at the ICHG (vimeo.com/260389622) showing that not only are these genes linked to HG, but also, the proteins are abnormally high in the blood from patients hospitalized with HG. FINALLY A BREAKTHROUGH FOR women suffering from the severe pregnancy illness, hyperemesis gravidarum (HG). Many people remember Princess Kate Middleton being hospitalized during her first pregnancy due to the severity of the disorder. However, other women affected by the pregnancy illness have limited family size, quit their jobs or sadly felt so desperate due to the debilitating illness that they terminated wanted pregnancies. Many HG women describe the illness as something no one can truly understand unless they have endured it themselves. Instead of the joy every pregnancy should bring, HG women spend most of the 9 months suffering in silence unable to eat or simply keep water down. We wish you many blessings in 2018! Hope you had a wonderful time with family this Christmas! 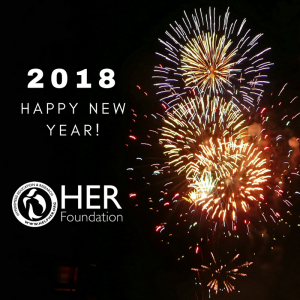 Best wishes for 2018 from all of us at HER! 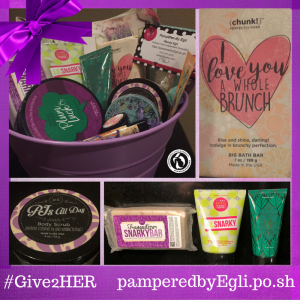 Thank you to all who donated to #Give2HER to make this year a success! Thanks, Wendy!! Let’s show Wendy love on her site: pamperedbyEgli.po.sh! You can change the future! Imagine slow research studies replaced by real-time data from the app being used to develop effective treatment protocols!! Imagine being able to easily communicate to your health professionals exactly what medications you took and how sick you truly are! Imagine seeing how much (or little) you’ve eaten and if your treatments are working after just 5 minutes each day using the app. Imagine getting alerts when your weight drops or you are getting dehydrated and need to go to the ER before your condition is serious! Imagine being reminded to take your meds and change your IV dressing if needed. Imagine no more! This app will do all that and more! 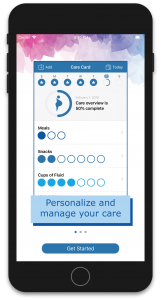 If we get enough participation and feedback, we can finalize this HG Care App project and moms enduring HG will finally have hope for real progress very soon! Progress means OUR CHILDREN won’t suffer as we have! This app will NOT be completed without YOUR participation! This is a ONCE in a lifetime opportunity for the HG community thanks to #HERFoundation and #UCLA! Please join today!If you are not pregnant or using an iPhone, share this post and educate others on the CRITICAL need for this app. It’s NOW OR NEVER!! The International Colloquium on HG in London (Oct 5-6) was a great success! Two presentations (1, 2) explained how ketones should not be required to be diagnosed with HG or given treatment. 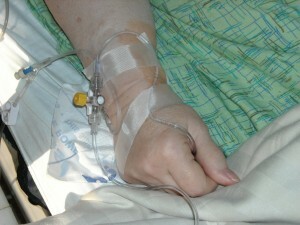 Some women are denied IV fluids if they do not have ketones. What are ketones? They are produced when the body is starving and uses fat versus carbohydrates as fuel. Ketones do not always correlate with weight loss or symptoms severity. They do predict a longer duration of hospitalization. Congratulations, Prince William & Duchess Catherine! In response to the announcement of Catherine, Duchess of Cambridge’s third pregnancy and treatment for hyperemesis gravidarum (HG), the Hyperemesis Education and Research (HER) Foundation extends best wishes for the health of mother and baby during this joyful yet challenging time. Distinct from “morning sickness” common in most healthy pregnancies, HG is characterized by weight loss, malnutrition, and dehydration due to severe vomiting and/or nausea. Severity and duration of symptoms vary, but HG remains the leading cause of hospitalization in early pregnancy and a debilitating medical condition that can have serious health consequences for both mom and baby. It is particularly threatening to mothers without immediate access to effective treatment and IV nutritional support. Introducing the 1st HG Care app!! 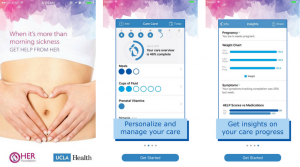 UCLA Health is partnering with HER on the first HG app. It will release around September 1 for user testing and we need your help! It will only take about 5 minutes to input your symptoms and food/fluids each day. You must be pregnant, sick with nausea/vomiting, using an iPhone and apps, and speak English. See the full details below. If you don’t qualify, or are not currently pregnant, you can help by sharing this with your friends and on social media. 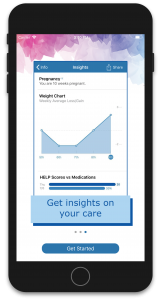 If you are interested in trying out our new HG Care app, please contact Dr. Marlena Fejzo immediately at mfejzo @ mednet.ucla.edu. Happy Mother’s Day & HG Awareness Day! What an exciting month for HG Awareness! 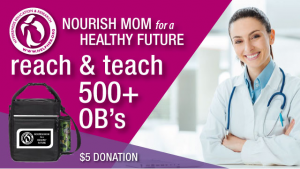 From reaching and teaching docs at ACOG, the premiere OB conference, to HG Awareness Day on May 15, and the HER 5K Purple Bucket Run/Walk (with a 1 mile walk/run) on May 20th! The Purple Bucket Run is as much fun and awareness as it is fundraising for important genetics research to find a cause and cure for HG. Grant funding is rare for HG despite the devastating impact on families and the 1000’s of babies lost each year! Help us raise awareness and funding so more women and their children survive HG! 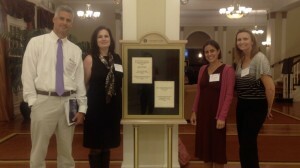 Our HG researchers and experts are attending the premier OB conference, ACOG, May 7-8 to take your messages about HG! OBs will receive a reusable lunch bag that reminds them that nourishing moms means a healthier future. 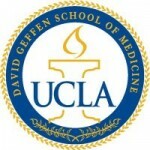 We will also demo the HG Care app being developed with UCLA mHealth. Enter your message in the donation note box to join this exciting event! You can also fundraise to help us make the most of this exhibit. 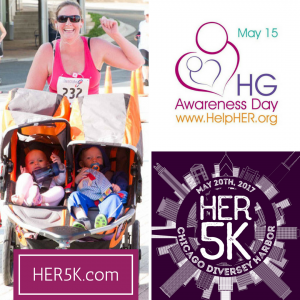 Join #TeamHER for the 5K run/walk in Chicago or virtually!! Join us at the beautiful Diversey Harbor on Saturday, May 20, 2017 for the Purple Bucket Run/walk, which includes a timed 5K run/walk & a 1 mile fun run with awards and a pizza party afterward! 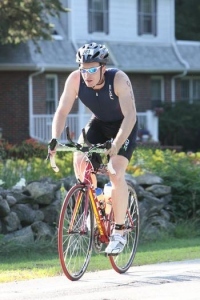 (Registration for pizza separate from race.) You can also run virtually/locally. All race proceeds benefit HER Foundation awareness and research. 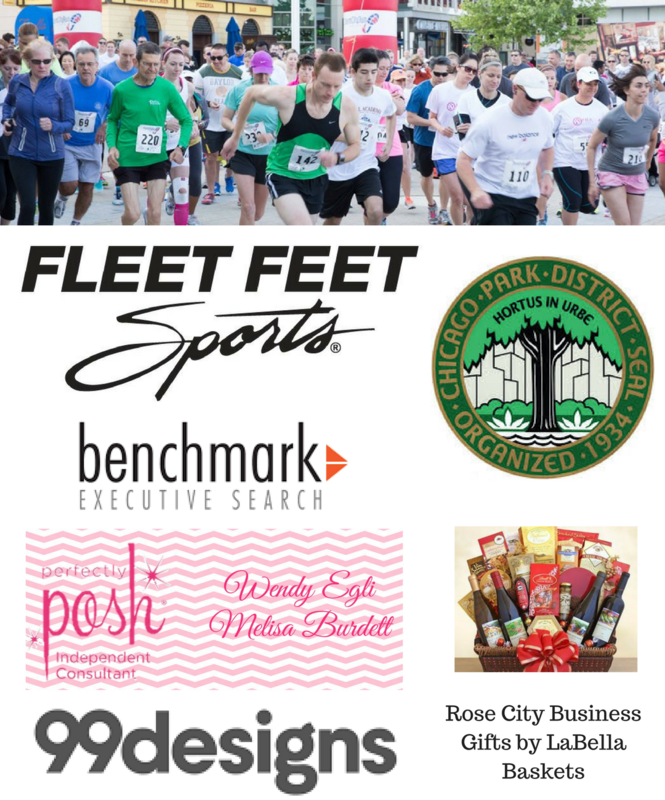 Show your appreciation for our sponsors and fundraise to make this the #BestRaceEver! 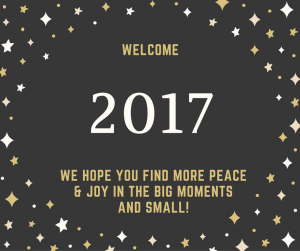 With your help, we will make 2017 the #BestYearEver! HER joined CrowdRise, the largest crowdfunding platform for charitable giving, to participate in the @CrowdRise Giving Tower, its #GivingTuesday campaign. Show your support by fundraising for HER to help us exhibit at the largest OB medical conference in May 2017 to be YOUR voice. 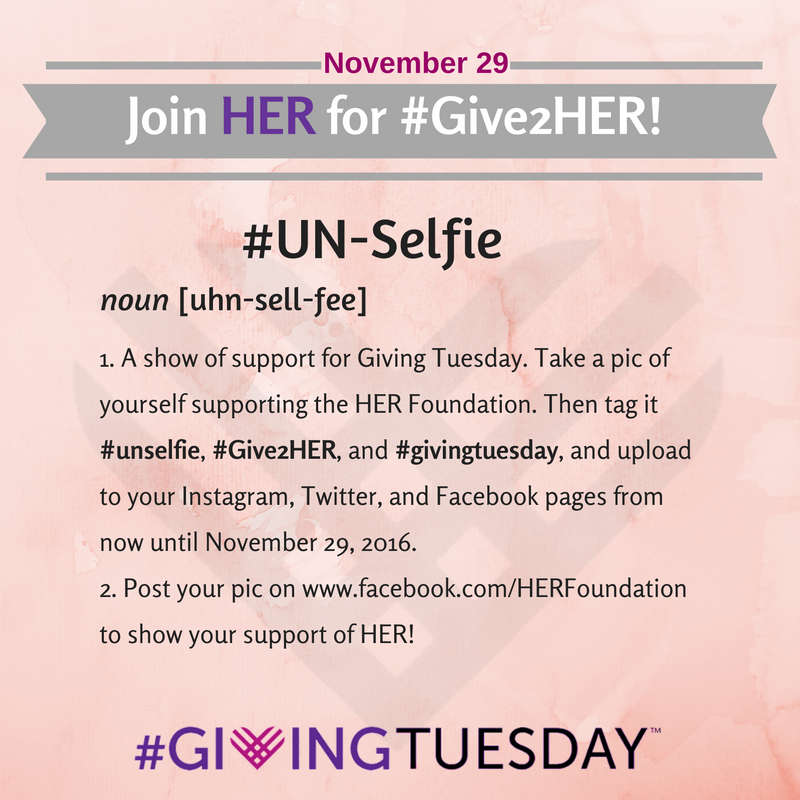 Post your #unselfie on November 29th, #GivingTuesday with the message that you support HER! The most creative #unselfie will receive a prize. For a printable “I support HER” sign (see below). They say when you see those two little lines on your home pregnancy test, your life is forever changed. As I wrestled my 9 month old into his pj’s I can say this is very true. However, sometimes life changes in ways we couldn’t imagine. When you see those two lines you start picturing the future filled with happy moments, you don’t imagine sadness and loss. You probably heard the statistics, 1 in 3 HG pregnancies ends in a loss, but from personal experience, I can say that means little until you join the 1 in 3. I had been tracking my cycles for a while when my husband and I started trying to conceive. After 14 days of high temps and a gut feeling, I awoke early one morning and took a test. As the two lines appeared, all my cute Pinterested ideas for sharing the news with your spouse disappeared, as I ran through the house screaming, “Look, look, there are TWO lines!!!!!”. It was a joyous moment, one to remember forever. Sign up for our upcoming news alerts and events info here. We look forward to an exciting upcoming year and have some exciting research in process. What can you do to help? Try a creative fundraiser like Andria did (read more below) and review our list of ways you can make a difference: http://www.helpher.org/about-her-foundation/volunteer-help-her.php. Fundraiser Spotlight: HG: Pregnancy 101 for TougHGirls! Read about Andria’s successful event with puke bucket games and raffles. 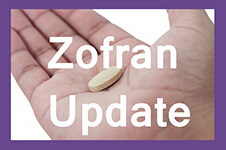 A study published by UCLA and supported, in part, by the Hyperemesis Education and Research Foundation found no evidence linking Zofran to birth defects. HER is hosting #PTSDchat tonight at 6 pm PT (9 pm ET). Join us in a conversation about PTSD after HG via this special Twitter chat using the hashtag #PTSDchat. Survivors of hyperemesis gravidarum may have problems with self-esteem, intimacy, guilt, and conditioned food aversions. Pregnant women may experience anxiety and depression related to helplessness from receiving inadequate treatment for hyperemesis, fear of the hyperemesis recurring in future pregnancies, painful and invasive treatments, and having to face the fear of serious harm or death to herself and/or her unborn child. Click more information on this event. Click here to go straight to the live hashtag during the chat (or at another time to read). I had a niggle*. A niggle that remained after all plausible causes for my bouts of sickness and fatigue were eliminated and two whizzy sticks later the niggle was confirmed. There was a bundle of joy! I was brought to my knees – in the bathroom. Repeatedly! So I persevered. I met my midwife. I didn’t think to tell her that I was sick all the time. Brushing my teeth made me spew. My flatmate’s perfume made me spew. The smell of coffee, jerky braking on transport, moving from my bed to upright. Morning noon and night. It was relentless, exhausting, and I felt pathetic. I thought “I’m failing at motherhood already.” Eight weeks in, and I was falling apart. Unable to get a handle on basic day to day things, perform at my job – let alone nourish my newly growing Bundle. But this is normal right? Just the untold aspect of morning sickness surely? I needed to pull myself together. fund development of an app for HG moms. Join our fundraising campaign on Crowdrise & learn more or donate now. 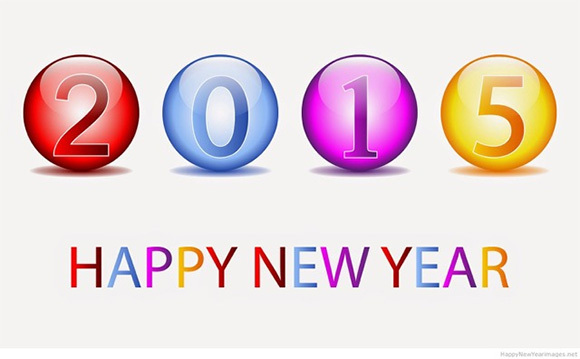 We are excited to begin 2016 with so much enthusiasm about the genetic research finding. Thanks to our volunteers, we also served 1000’s of mothers last year! With your support, we anticipate this year will be even more successful! Join the 2015 Holiday Giving Challenge! Support the HER Foundation http://www.helpher.org/specialpages/give-hope-campaign.php! For over 12 years, HER has been the leading supporter of HG moms, HG research, and HG awareness. Today is your chance to support HER. 100% of donations go to research, education, and awareness. HER has hundreds of volunteers working across the globe in many different roles, including one-on-one and group support for HG moms. The HER Foundation has no paid staff and is a not-for-profit charity. 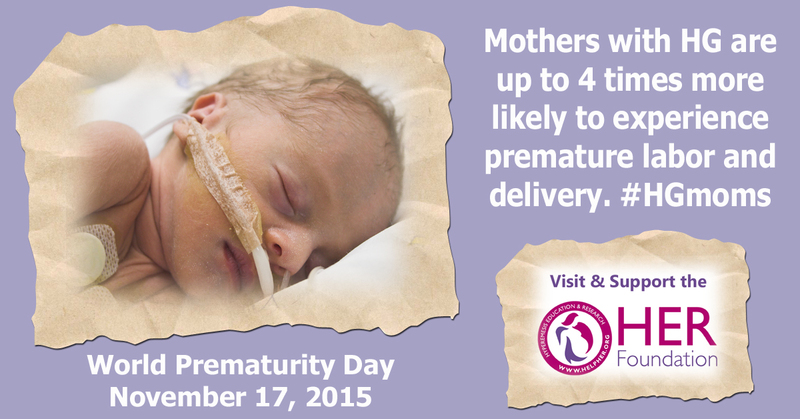 November is Prematurity Awareness Month and HG is one of the leading causes of prematurity. Women with HG are up to 4 times more likely to give birth early. 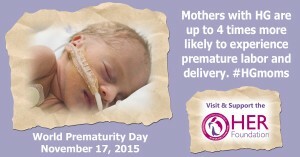 Support our foundation’s efforts to improve the care of HG mothers and prevent prematurity through research & education. 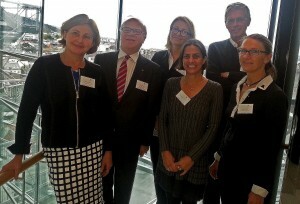 Representatives from 12 nations convened in Bergen, Norway last week to present the latest research on HG at the First World Colloquium on Hyperemesis Gravidarum. HG researchers, obstetricians, psychologists, leaders of support groups, and HG patients were present. The Chair of the Conference, Jone Trovik, plans to create an International Society for HG Research. 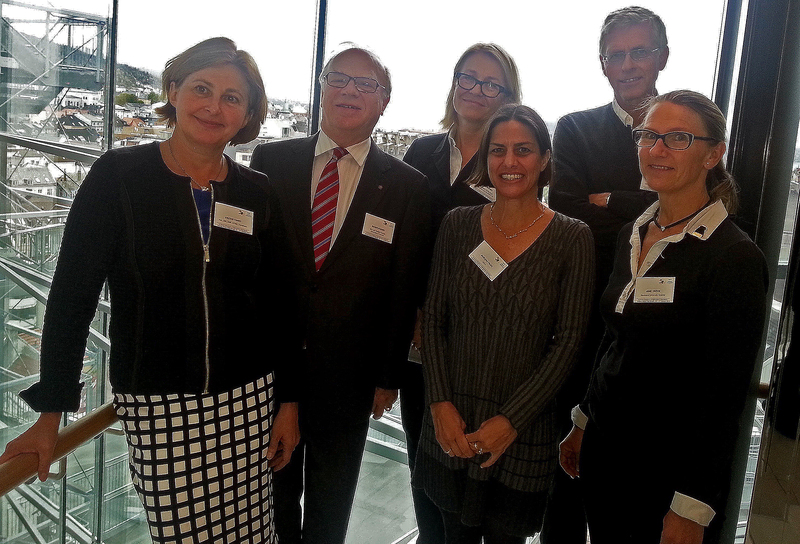 Creating guidelines for core outcomes and priorities for future clinical trials were discussed. The group plans to reconvene in 2 years. Read our Survival Guides with tips and strategies for coping with HG. Also find downloadable tools to document and journal symptoms. Medications, typical dosages, side-effects, and related research can be viewed on this page. Find or add a health professional at this link. The Referral Network is updated on an ongoing basis as moms submit health professionals worldwide. Connecting with the volunteers from the HER Foundation is easy. In addition to the Support Forums, HER also has two Facebook groups: HG Support & HG Kids. Find the info to make a medical protocol prior to conception as well as physically and mentally prepare for another HG pregnancy. Read our new (PDF) brochure you can print and share. Find out how to optimize your medications and learn how to use them to manage HG most effectively. Find a doctor who offers compassionate and expert treatment of HG. The HER Foundation website has a list of doctors throughout the United States and in over 15 countries worldwide. These doctors have been recommended by those who experienced HG. Find an advocate to speak on your behalf to doctors, nurses and family/friends so they know what you need and how you are responding to treatment. When ill, it’s difficult to remember details and deal with issues about managing HG. Find an educated group of HG women who know what you are enduring. This is why the HER Foundation was created over a decade ago. So many myths surround HG, people will make rude and insensitive comments like “Just eat some crackers” or “Oh, I had that and just had to force myself to eat.” HG survivors can help you deal with those uneducated about HG and direct you to HER Foundation web pages with expert information you can share with them. You will find support on our website forums and Facebook page. The HER Foundation can help you find a doctor in your area and provide you with a supportive volunteer. If you need immediate help contact GetHelpNow@HelpHER.org. Show your support and let your healthcare providers know about this upcoming conference. It is primarily intended for health professionals but anyone is welcome. Dr. Fejzo who heads our research will be one of the speakers. 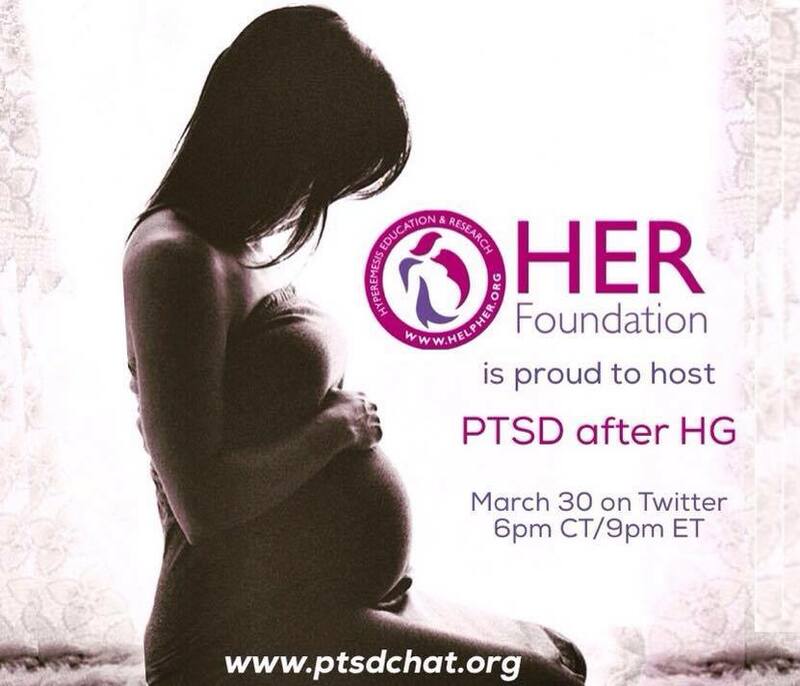 The HER Foundation is the voice for HG mothers! 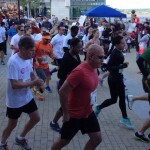 The HER Foundation has struggled mightily with the decision to take a year off from the HER5K. For 2015, we want to take the time to simply focus on the mission and vision of the Foundation and we need to raise more funds in order to make the race happen! 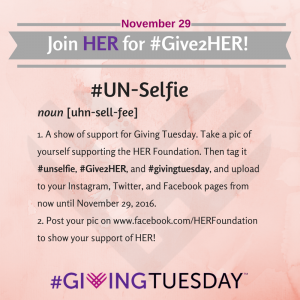 The HER Foundation relies 100% on donations, as it receives no private or government funding. This year we plan to focus more on educating the medical community by attending medical conferences that include nurses, midwives, nutritionists, and OBGYNs who need to hear our plea of better healthcare for HG women. This is one of the most important reasons the HER Foundation exists . . . to make sure your stories and your voices are heard by us speaking up for you. The medical community must understand that better healthcare is crucial for HG women. 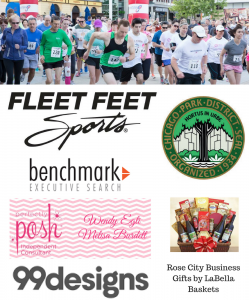 As we look forward to sponsoring the race again in 2016, we want the many of you who have attended and supported the event in the past to know that 100% of whatever you choose to contribute will directly support our charitable endeavors. 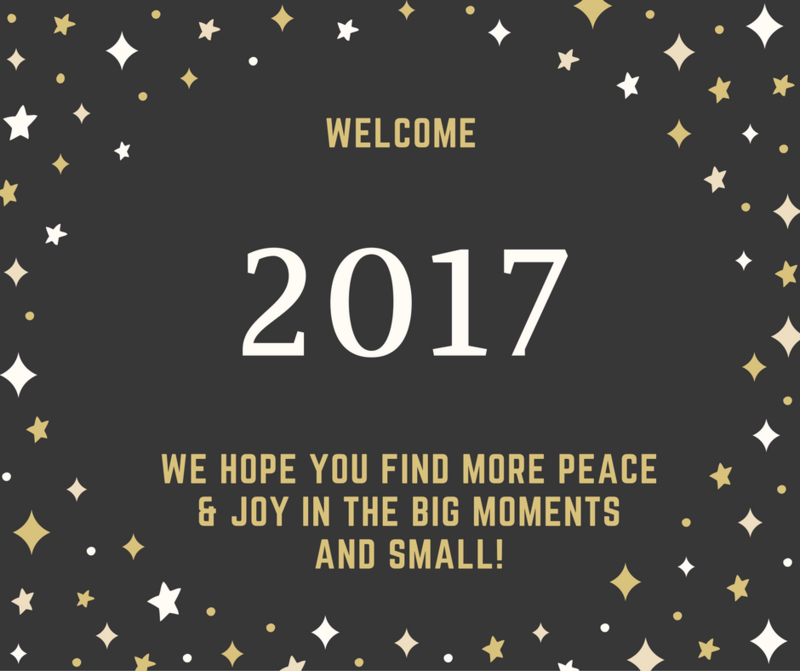 We hope you will join us next year and want to once again thank you for your continued support, dedication and friendship over the years! That said, don’t forget that MAY 15TH is the annual HG Awareness Day. We are in the process of putting together “HG Meet up Groups” around the globe. On the weekend of May 15th, women can find a nearby group to meet and discuss all things HG or just simply enjoy each others company while hopefully having a fantastic meal, which we all miss so much during our HG pregnancies. We hope you will share your photos on our Facebook page and appreciate all the fundraising you do as well. WE HOPE TO SEE YOU IN DC FOR THE 2016 HER5K! The HER Foundation would like to thank all of our volunteers, supporters and donors in 2014! More research is being done on HG in the world today than has ever been done in history! This is because of your support and adding your voices to the cause! A special virtual hug to all of our volunteers who make the HER Foundation what it is and to the donors who keep us going. To HG moms everywhere please know you are not alone and we are here to help you! Washington, DC – Sept. 8, 2014 – In response to this morning’s announcement of the Duchess of Cambridge’s pregnancy and treatment for Hyperemesis Gravidarum (HG), the Hyperemesis Education and Research (HER) Foundation extends best wishes for the health of both mom and baby during a joyful yet challenging time. We’ve complied a chart that differentiates between morning sickness and Hyperemesis Gravidarum. Nausea and vomiting do not interfere with your ability to eat or drink enough each day. Nausea and vomiting cause you to eat very little and get dehydrated if not treated. You vomit infrequently and the nausea is episodic but not severe. You have significant discomfort and misery. You vomit, or feel the need to, often and may vomit bile or blood if not treated. Nausea is usually moderate to severe and constant. Traditional remedies like diet or lifestyle changes are enough to help you feel better most of the time. You will probably require fluid hydration through an IV and/or medications to ease your symptoms. You typically improve after the first trimester, but may be queasy at times throughout pregnancy. You usually feel some relief by mid-pregnancy, but may be nauseous and/or vomit until late pregnancy. You will be able to work most days and care for your family, though less than usual at times. You will likely be unable to work for weeks or months, and may need help just caring for yourself. You may feel a bit depressed at times, especially if you have more severe nausea, but are able to be your usual self most of the time. You will likely forget most of the unpleasantness after delivery. You may feel anxious about what lies ahead if you had HG before. You will likely become depressed due to misery and physical depletion. More severe HG often is traumatic and may impact you for years to come. “Although the preliminary data look promising, there is far too little evidence available at this time to recommend using gabapentin to treat HG. In the circumstances where a patient’s Hyperemesis Gravidarum (HG) symptoms are severe, have not responded to any other treatments, and are to the point where the patient is considering terminating her pregnancy, a trial of gabapentin could be considered if the obstetrician and the patient are agreeable. In 3-4 years, we should have the results of our large study that will provide the necessary evidence to guide clinical practice regarding gabapentin use for HG.” said Dr. Tom Guttuso, MD. Meet Dr. Thomas Guttuso, Jr., MD, Associate Professor of Neurology, Obstetrics & Gynecology at the University at Buffalo and HER Foundation Advisory Board member. Dr. Guttuso is currently conducting research trial with HG women using a drug called gabapentin. Dr. Guttuso met the HER Founders and Dr. Marlena Fejzo, PhD of University of California Los Angeles, who is also a HER Advisory Board member, this past fall in Pittsburgh at the Biology of Nausea and Vomiting conference. Meet Nicola Lennon, brave HG mom of two boys and skydiver! 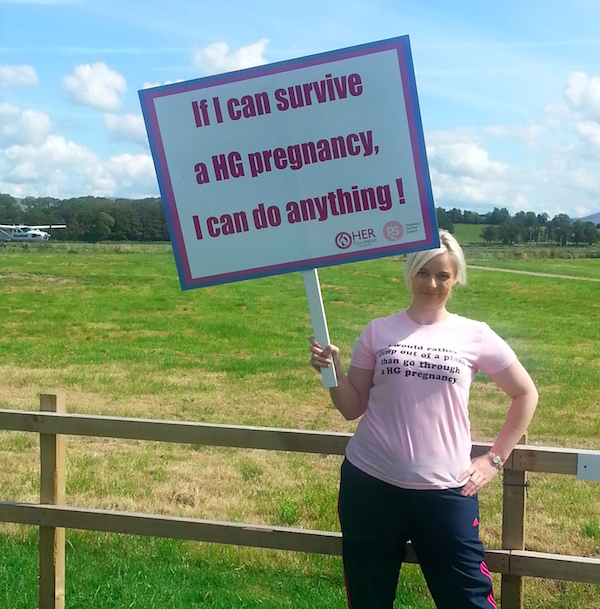 Nicola did her part to help HG women by taking a huge leap for HG awareness – jumping out of a plane and skydiving! 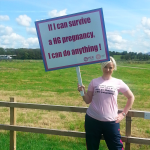 On Saturday, August 16th 2014 at Black Knights Parachute Centre in Lancaster, UK she took the plunge to show every HG woman that if you can get through HG, you can do anything. “Jumping out of a plane is easy compared what I endured with my HG pregnancies,” said Lennon. “I wanted to show my support and awareness for HG women and help out the HER Foundation who was such a great support for me during my pregnancies. This is my way of saying thank you to HER and letting HG moms know that HG gave me a new perspective on life. Take nothing for granted and enjoy each day!” Nicola also raised funds for her local HG support organization in the UK and HER Foundation sister charity, Pregnancy Sickness Support (PSS). 2nd Annual HER5K was a great success! It was an emotional day, but one that was filled with excitement and hope. 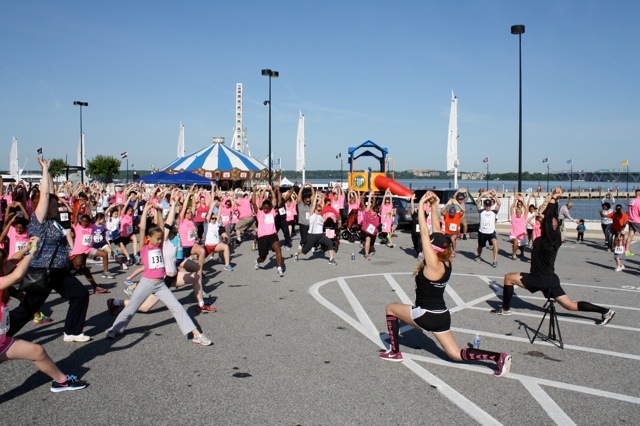 On May 31, 2014 over 300 participants and volunteers came to the National Harbor in Washington D.C. to be a part of the day to raise awareness for HG. The weather was perfect and the location beautiful. HG women and their families came from all over the United States and even an international participant! Some of the states represented were California, Florida, South Carolina, North Carolina, West Virginia, New York, Michigan, Massachusetts and Pennslyvania. The day started with a rally speech from Ann Marie King, co-founder of the HER Foundation, (read Ann Marie’s speech). King then proudly introduced an HG survivor and her husband, Maribel and Chris LaLanne from San Francisco, who own a very successful fitness gym in the Bay area, LaLanne Fitness Crossfit. The couple got the crowd stretching and moving before the race began. “We are so greatful to Maribel and Chris for being here today, they are dedicated to the cause of helping raise awareness for HG and we are so proud to have them as part of our HG awareness volunteer team,” said King. Once the race began everyone was ready, many HG moms showing how they are back to being stronger than ever for the 5K walk/run. Once the run ended Caitlin Dean, a trustee for the UK charity and sister charity of HER, Pregnancy Sickness Support, (PSS) was introduced and gave a speech about the international collaboration that would be happening between HER, PSS and Beyond Morning Sickness to truly raise the level of awarenes for HG women worldwide. (read Caitlin’s speech) Awards were given to those runners with the top times in their age groups and then HG women and their children gathered for a great the annual HG sisters picture at the National Harbor. We hope to see everyone again next year!!! When I attended dental hygiene school we were taught that pregnancy has absolutely no affect on the health of a woman’s teeth. After getting out into private practice I found that my patients constantly told me otherwise. Not yet being a mother myself, women consistently explained that they never had dental problems until they were pregnant, and then they seemed to all come at one time. Dental professionals are always told about the effects that bulimia nervosa and gastrointestinal reflux have on eroding tooth enamel, but we’re taught to think that a vomiting pregnant woman doesn’t affect dental health at all. Then there was hyperemesis gravidarum, aka “HG.” If any pregnant women had problems with their teeth, it was these moms. As we celebrate the HER Foundation’s 10th anniversary, we’re pleased to announce a new tradition with our First Annual ‘HERoes For HG’ Awards. Please join us in a round of applause for a group that includes extraordinary volunteers, healthcare providers, maternal health partners, and media. 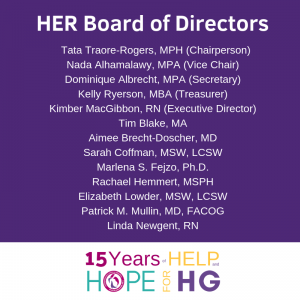 At the HER Foundation we are ushering in our 10th anniversary with what we hope will be a fun and inspiring celebration, marked by gratitude for the achievements of the past decade and vision for the future of HG awareness, research, treatment, and support. A 10-day social media party on our Facebook page and Twitter handle, October 14th through 23rd. A “10 for HER 10” Giving Challenge aimed at jumpstarting funding for the next decade of HG help and hope. Our First Annual “Heroes for HG” Honors, to be announced on our website and social media October 22nd. Please join us in celebrating 10 years of help and hope – and in looking forward together, toward the next decade of advocacy for HG moms. The HER Foundation is bringing the voices of HG women to a research conference at the University of Pittsburgh in early October. The Biology and Control of Nausea and Vomiting 2013 is targeted to both basic researchers and clinical investigators working in the field of nausea and vomiting. The conference will be useful for clinicians needing up-to-date information about treatments for nausea and vomiting, such as in patients suffering from hyperemesis gravidarum (HG). On June 23, 2013, 144 golfers came out for the 19th annual Brayton Point Station Charity Golf Tournament. Brayton Point Station is the largest fossil fuel power plant in New England. Station employees, family, friends and vendors came out to support this years charity, the HER Foundation. Typically a charity is selected because an employee is with the charity or has been impacted by it. The HER Foundation had a special meaning for me this year as my wife Pia is a three time survivor of Hyperemesi Gravidarum (HG). The tournament committee (Wes Bushika, Mark Huck and Bill Spicer) would like to thank this year’s guest speaker Doreen Scanlon, HG survivor and news anchor with ABC Channel 6 in Providence RI. The committee is excited to present the HER Foundation with an 11 thousand dollar donation! One of the reasons the HER Foundation was created was to fund much needed research on HG. 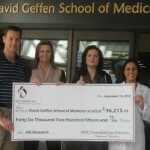 With the help of UCLA’s David Geffen School of Medicine we have funded over $46,000 in research grants. Thanks to all of the HG moms who have participated in our research! Because of you, UCLA has been able to identify medications (antihistamines) and other factors (gestational hypertension, early symptoms) linked to preterm birth and low birthweight babies in hyperemesis pregnancies. See Table 5 for the list of over 35 medications/treatments used compared to pregnancy outcomes and effectiveness. Share this research with your medical providers so you can make informed decisions together on how to treat your HG. AN AMAZING WEEK FOR HG AWARENESS! 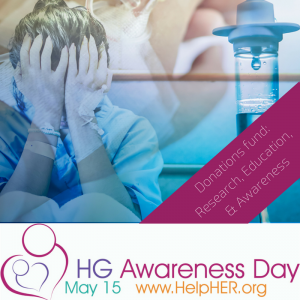 The HER Foundation has been overwhelmed with the response we have received for the 2nd Annual HG Awareness Day (May 15th) evidenced by 400% more visitors to the HER website the past week, as well as the most widespread reach ever on Facebook and Twitter. We received great support from some of our partners and supporters. We’re grateful to HG moms across the globe who shared powerful personal stories in social media today, and to all who took action to educate and advocate. The world’s most famous pregnancy brought overnight visibility to a little-known but serious prenatal complication, when Britain’s royal family announced the Duchess of Cambridge’s hospitalization for treatment of hyperemesis gravidarum (HG) – a debilitating and even life-threatening condition marked by severe, unrelenting vomiting and/or nausea that can lead to rapid weight loss, malnutrition and dehydration, with potentially dangerous health consequences for both newborn and mother. The HER Foundation and Ashli Foshee McCall are like old friends — they go way back and have been working together to help HG women around the globe. For many years, Ashli has donated her books to the HER Foundation to help us raise money for awareness, education and research. 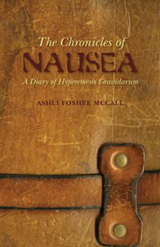 Ashli has just released a new book, “The Chronicles of Nausea.” A diary of her successful battle with HG in her fourth and most difficult pregnancy, “Chronicles” is an inspiring “must read” for all women coping with the disease. 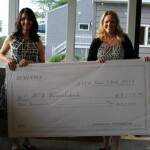 The HER Foundation thanks Ashli for her continued support for HG women and the HER Foundation. We recently asked her a few questions about HG and her books. Purchase any of Ashli’s books here. We’ve developed some different sizes of buttons that you can use to post on your own site. Just link them back to www.helpher.org. Let us know if you need any other sizes! 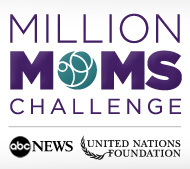 A huge thank you to the Million Moms Challenge for all their support over the last year. The HER Foundation is so proud to be on their list of top 12 triumphs of 2012. We look forward to working with them to raise awareness for HG women around the world in 2013! Every woman deserves good healthcare during pregnancy! 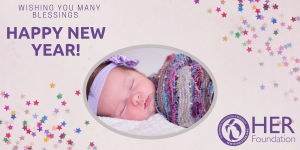 Thanks to National Healthy Mothers, Healthy Babies Coalition for inviting the HER Foundation to guest write for their monthly blog to help raise HG awareness! Click on our guest blog below and after reading, please be sure and leave your comments with HMHB to let them know you appreciate their support! We also send happy and healthy birthday wishes today to Duchess Kate Middleton, whose pregnancy recently made global headlines when she was hospitalized with hyperemesis gravidarum (HG). We’ve compiled a chart that describes the Severity Levels of Hyperemesis Gravidarum. 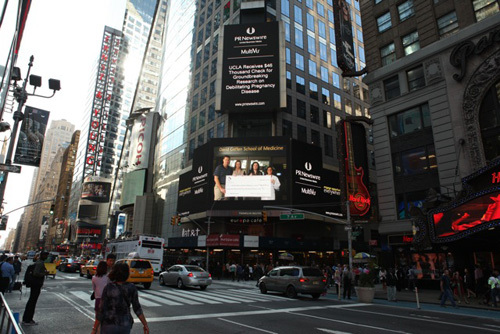 HER Foundation raising awareness at Times Square in New York City! 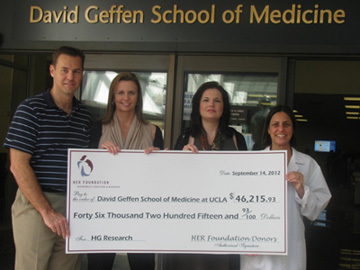 The HER (Hyperemesis Education & Research) Foundation proudly presented a check for more than $46 thousand to Dr. Marlena Fejzo, geneticist, of the David Geffen School of Medicine at UCLA on Friday, September 14th. The donation will fund continued groundbreaking research on a relatively unknown, debilitating pregnancy condition called Hyperemesis Gravidarum, or HG. Dr. Marlena Fejzo wants to share her story with you about HG and share why she is so dedicated to the cause. She is grateful for the help of the HER Foundation over the past few years in helping fund and recruit participants for her research. Dr. Fejzo is truly one of the leading researchers in the world for HG. Her letter is to all HG women and their families who have endured the challenges of HG in pregnancy and how it has affected their lives. Thanks to Angela and Justin Phelps of the Lansing Michigan area for sharing their story of HG with their local FOX affiliate, WLIX! You both did a great job and have helped raise awareness for HG! We also want to thank Dr. Robert Seiler for his words about HG as well. Raising public awareness is vital to the cause and we truly appreciate your efforts. A special thanks to the reporter, Caroline Vandergriff for mentioning the HER Foundation’s continuous efforts in raising awareness, education and research for HG women and placing our petition campaign on the FOX website. 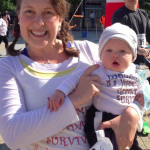 Little Nina is precious and an HG survivor just like her mommy! 2nd Annual HG Awareness Day 2013 to be officially recognized! HER has exciting news…..May 15, 2013 will be recognized by Chase’s Calendar of events as the official HG Awareness Day! Chase’s Calendar has been the world’s datebook for more than 50 years. Chase’s Calendar of Events 2013 will be published in September of 2012 and will list May 15th as the official HG Awareness Day! Chase’s Calendar of Events is the most comprehensive and authoritative reference available on special events, worldwide holidays and festivals, civic observances, historic anniversaries, famous birthdays and much more. We have finally made the record books thanks to your support! This is one BIG step for HG awareness worldwide. 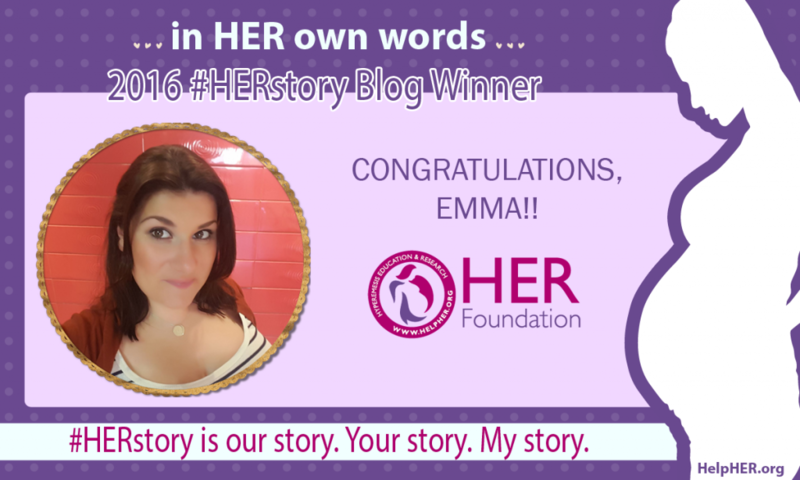 A special thanks from the HER Foundation founders…. 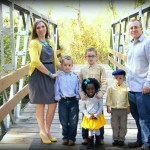 Amanda Tynes is a two time survivor of HG and the wife of the NY Giants kicker and SuperBowl Champion, Lawrence Tynes. “I am excited to add my voice and personal story with HG to the HER Foundation’s mission of increasing awareness and procuring funding for education and research. HG is a terrible disease that very few doctors or nurses seem to understand. Pregnant women around the world are suffering every minute of everyday with no answers or help to get them through their pregnancies. HG needs to be researched and studied by the medical community so these women don’t feel alone and helpless to a condition they cannot control. No more lives need to be lost because of the lack of research of this horrific disease” said Tynes. “We are thrilled to have Amanda on board with us to help raise awareness, research and education funding for HG. Amanda’s story is one that many HG women will identify with and we know Amanda’s passion for making a difference for HG women around the world will truly help our efforts,” said Ann Marie King, Co-Founder of the HER Foundation. As part of celebrating the first annual world awareness day on May 15th, this year Amanda and her husband signed the HER Foundation petition asking the United States government to start funding HG research. In the months ahead Amanda will join with founders of the HER Foundation in meeting with government officials and medical associations to discuss HG and its effects on women around the globe. The HER Foundation thanks Governor Daugaard for proclaiming Hyperemesis Gravidarum Awareness Day on May 15th, 2012 for the state of South Dakota. “We want to thank Governor Daugaard for being the first Governor to recognize HG awareness day and we are encouraged by his recognition of the need for awareness for HG women in his state. We hope it will inspire state lawmakers to follow in his footsteps for future Awareness Days. This is a huge step in raising awareness, education and research and we are truly grateful,” said Ann Marie King, Co-Founder of the HER Foundation. They will be following her throughout her pregnancy. Please take time to send her some kind words of encouragement and support. Thanks to ABC6 for allowing the HER Foundation to share her story. Congratulations to Mel Burdett for being the top recruiter for our holiday research campaign! Mel will receive a $200 gift card from Amazon thanks to her recruiting skills! Way to go Mel, thanks to your efforts and that of your friends the HER Foundation and USC/UCLA are closer to reaching thier research goal! 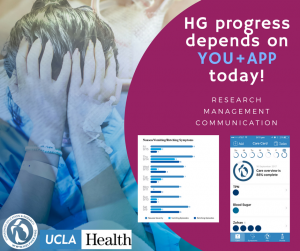 We are looking for both HG and non-HG mom’s to be a part of the study, so please email nvpstudy@usc.edu to join, it truly is the most important thing you can do to make a difference for HG moms in the future! America’s Budget Crisis & HG Research…Need Your Help Now! Time is of the essence as the budget crisis is likely to lead to cuts in NIH funding next year which will include our HG study if we don’t enroll and collect all our saliva samples before the cuts are in effect. Please participate (contact nvpstudy@usc.edu) and please follow through with the HG study now. An extreme form of pregnancy-related nausea and vomiting known as hyperemesis gravidarum (HG) takes a heavy toll on thousands of women each year and can lead to hospitalization and pregnancy termination. But this new research suggests pregnant women are not the only victims. (Reuters Health) – A woman’s chances of experiencing severe nausea during pregnancy appear to be influenced, at least in part, by genetics, according to these new study findings. HG Genetic Study Needs Participants! Hyperemesis Gravidarum (HG) is a debilitating and potentially life-threatening pregnancy disease marked by rapid weight loss, malnutrition, and dehydration due to unrelenting nausea and/or vomiting with potential adverse consequences for the mom-to-be and the newborn(s). Share Photos of Your HG Babies! We're compiling all of your baby photos into our HG Survivor Photo Album! Send yours to photos@helpher.org. To honor your loved one, please enter their name(s) here.